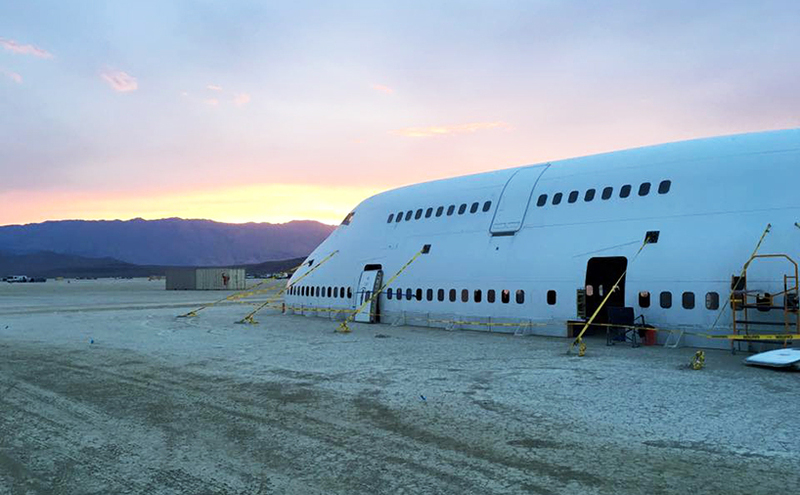 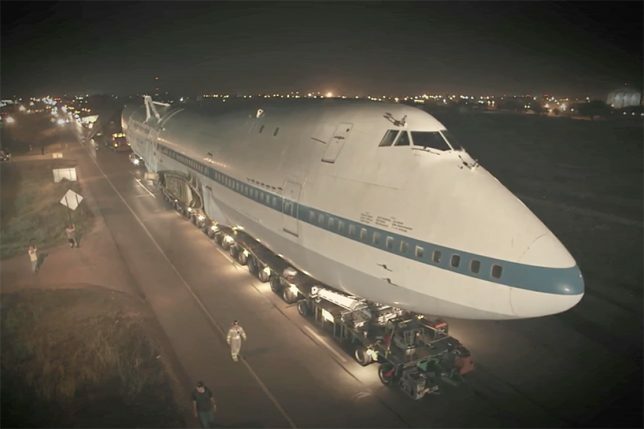 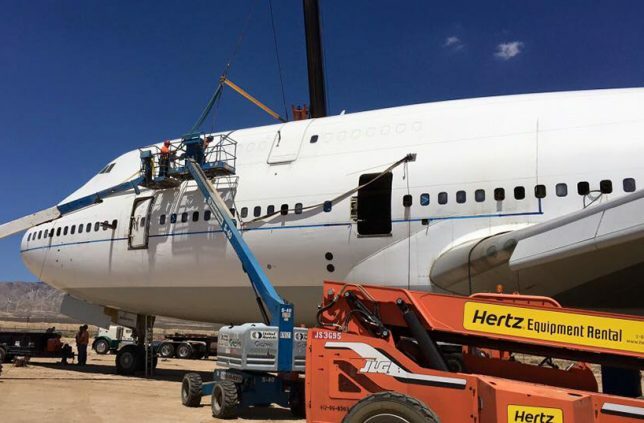 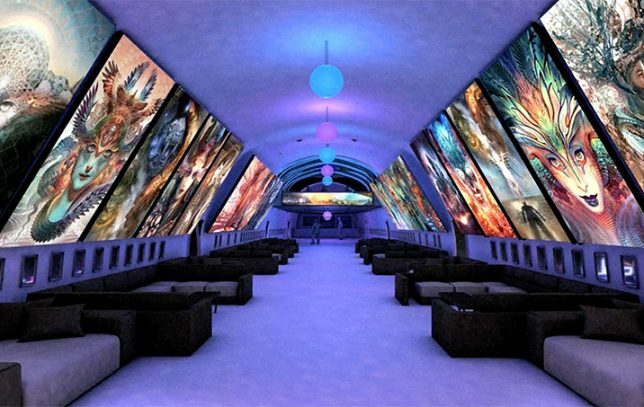 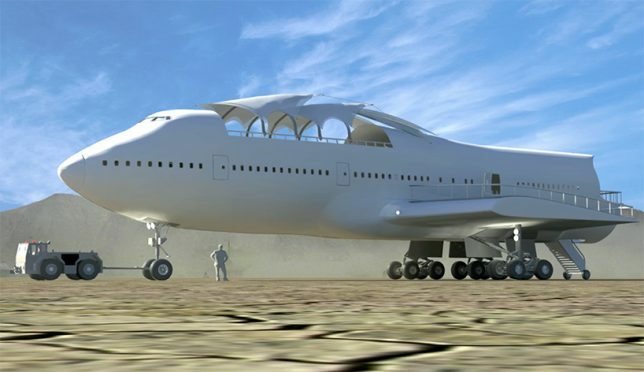 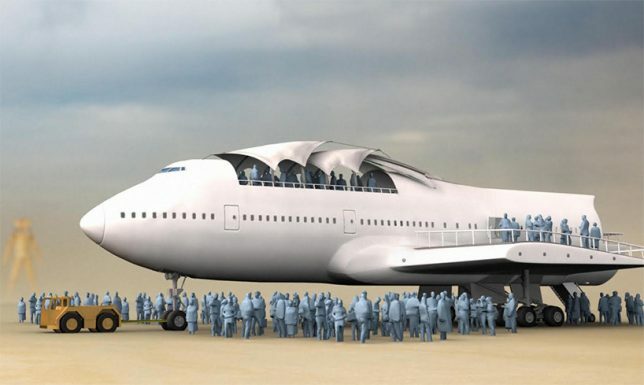 A temporary metropolis for tens of thousands built annually in Nevada’s remote Black Rock Desert, the Burning Man festival is famous for its extreme architecture and creative art cars, the latter now including a transformed Boeing 747. 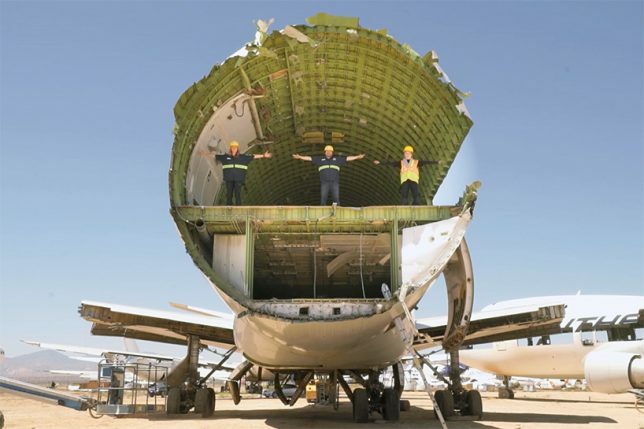 Fitting this year’s theme of Da Vinci’s Workshop (art and technological innovation), the huge gutted hull has been in the works for seven years thanks to Big Imagination Foundation and their supporters. 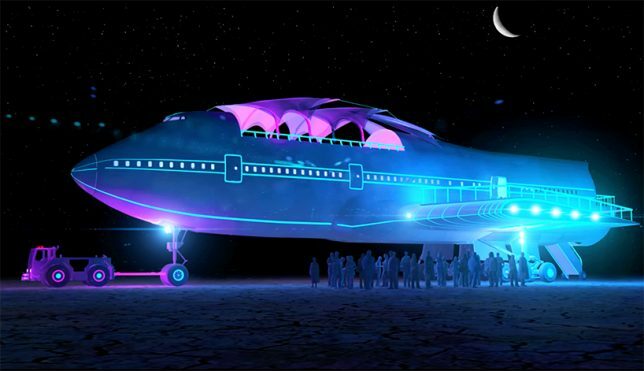 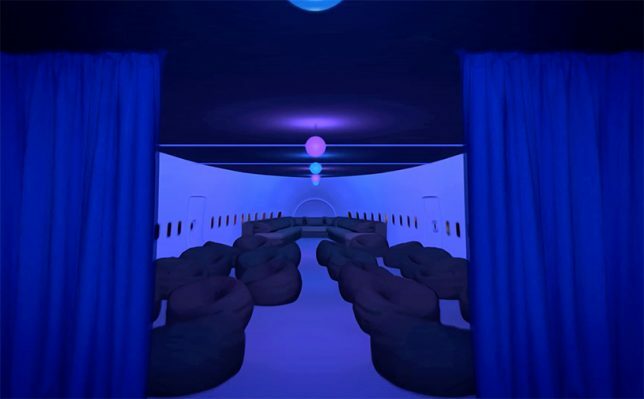 The carved-out jumbo jet invites people to hop on board for speakers, parties and other events. 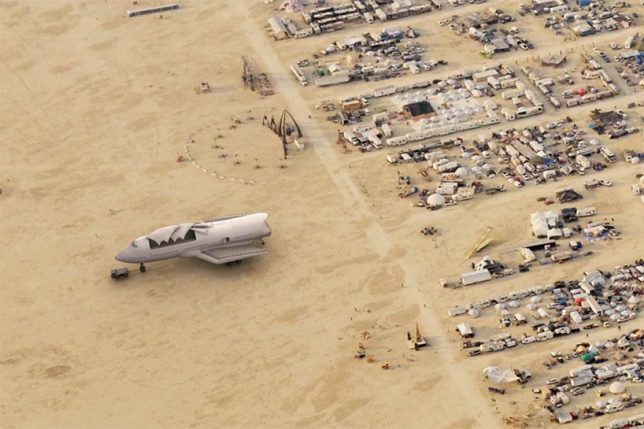 It is being towed around the dusty playa by a surprisingly small service vehicle, a bit like one might see on the tarmac at an airport. 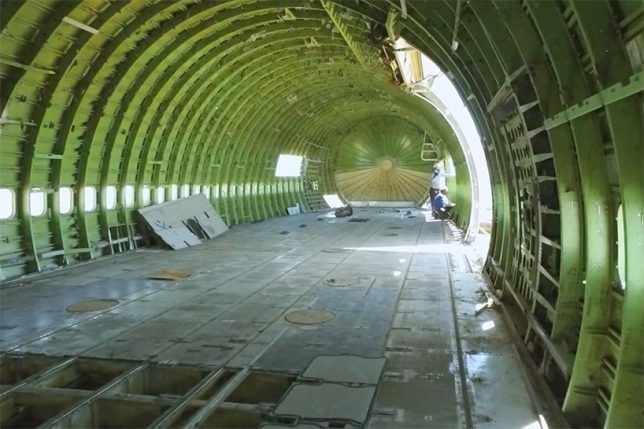 A team of over 100 artists, engineers and other creatives helped strip and reconstruct the original plane, reinforcing its removed structure with custom interior supports and adding a series of staircases. 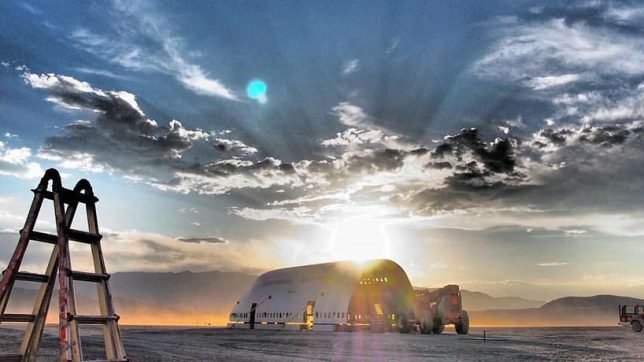 Anyone who has attended the festival will know that one of the most fascinating experiences is the serendipity of boarding a big art vehicle and seeing where it leads, either spatially or experientially (or both). 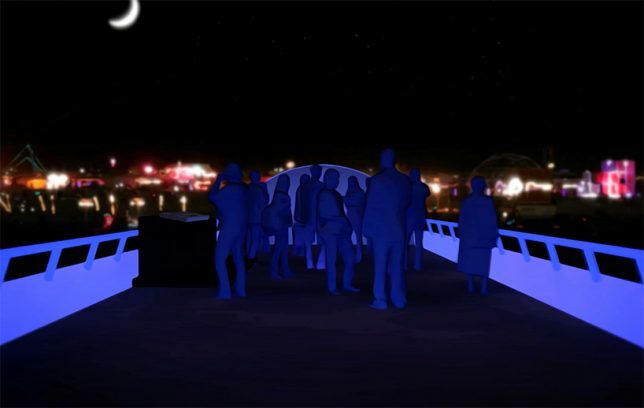 This may be the best such adventure yet, featuring interactive art, music and other live performances and inspirational talks.